After schooling the students get a big chance to decide about their life and to choose their career. After the tremendous results of the class 12, most of the students have applied for the Delhi University School of open learning. Students, who opted for professional studies, are planning to take a competitive examination or anything beyond the boundaries of the University of Delhi and are applying at School of Open Learning. The School of Open Learning (a part of the Delhi University Campus of Open Learning) formerly known as the School of Correspondence Courses and Continuing Education, established under the University of Delhi in 1962, is a pioneer institution in the field of distance learning in India. 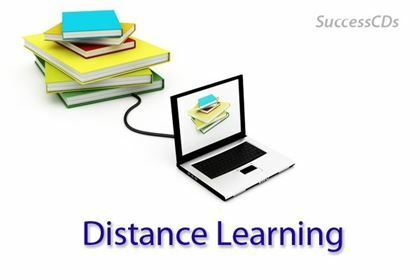 The distance learning is somewhat similar to the regular campus learning at the Delhi University. There is not really an exact difference between the regular education and distance learning education, Delhi University School of open learning offers same quality of education, likewise full-time courses at the regular colleges campuses, both of the school offers post-graduate and under-graduate courses in the subjects of arts/humanities and commerce Moreover, the school has equally proficient faculty as the main campus and the best part for the student who are applying for the distance learning education is that the university gives similar degrees to the students, there is no mention of college in the degree. Students having as high as 100 percent marks are joining Delhi University School of open learning. Despite going to any of the premiere colleges under Delhi University, these meritorious students are opting for open learning courses offered under the university. As per a report published in an English daily, as many as 49,000 candidates have been registered online, of whom; more than 13,000 have completed the admission process. Earlier there was a process when the students use to prefer school of open learning as a last option but now most of the candidates have broke that stereotype conception. Open University reputation has become far better as we look according from the past times. Many believe that the students are eying for the future and are interested in UPSC or Chartered Accountancy. This is the reason they are not taking up full time regular degree courses and are instead using their time to prepare for the exams along with their undergraduate studies. The quality and facility provided at the School of open learning is another reason for the students to take up distance learning. The other most of the high percentage candidates want to seek admission in Open University that they provide Audio-Video lectures to the students and free online reading material which keeps an interest among the students. Delhi University School of Open is a blessing in disguise for students who could not meet up the high cut off standards set by Delhi University but now even the high percentage candidates also opt for the distance learning to make their studies and other competitive exam preparation go side by side.